Between 2007 and 2014, Americans wasted more than 25% of their total food purchases. Think of all that perishable produce sitting in the back of your fridge, or those meats and cheeses in your deli drawer. If they’re tossed in the trash before being totally consumed, they’re a part of the problem. You might know it’s wasteful and taxing on your pocketbook, but there’s another statistic that might surprise you. Each year, it takes around 4.2 trillion gallons of water to produce that array of uneaten food. Of that amount, 1.3 trillion gallons are devoted to growing fruits and 1 trillion go toward growing vegetables — all of which go uneaten. Want to reverse that trend and start making better use of the bags of groceries you come home with every week? That’s where a food dehydrator comes in. 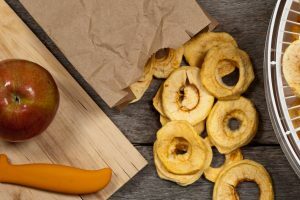 Though there are myriad types on the market, the best food dehydrator for your needs is the one that fits your lifestyle, intended purpose, and food type. Today, we’re discussing how to find one that you’ll use regularly so you can enjoy your favorite foods for much longer — and do your part to help your kitchen go a little greener. 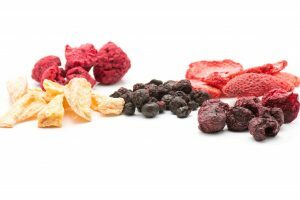 Put simply, a food dehydrator reduces the water content of your food. When this moisture is taken out, the food is preserved for a longer period of time. Though there are many high-end gadgets available today that can make the process a breeze, the act of food dehydration has been around since before 12,000 B.C. Back then, Egyptians leveraged the heat from the desert to dry their fish and poultry. Today, you can dehydrate almost everything in your refrigerator, from animal proteins to poultry. This is an ideal way to make your supermarket purchases last as long as possible. In addition, without a moist environment in which to grow, bacteria are far less likely to thrive and spoil your food. That pack of sausage sitting on the back shelf that expires in two days? It might make you sick if you wait to cook it next week. Yet, if you dehydrate it now, you’ll be able to enjoy it for months down the road. Dehydrating food also makes it lighter. 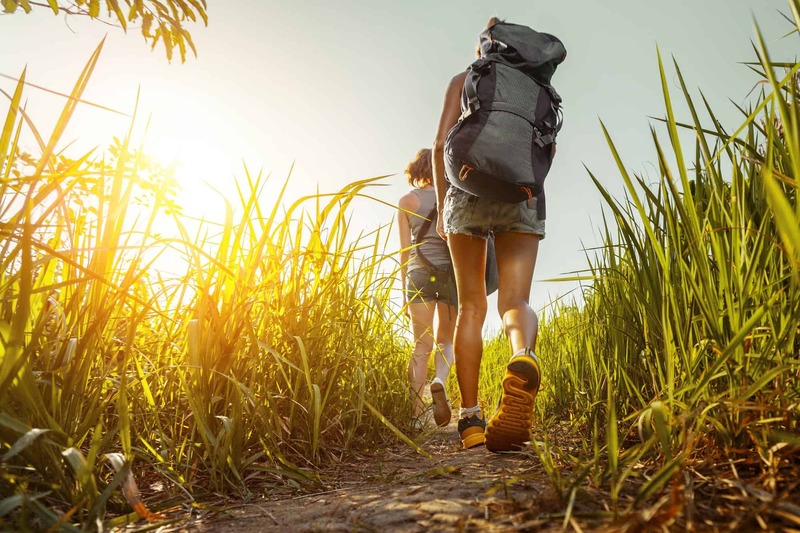 This makes it a go-to option for hikers and those who need to fit as many nutrients into their bags as possible without adding much weight. Yet, there are as many options as there are benefits when it comes to food dehydration. Let’s explore some of the factors to keep in mind as you do your research. Your neighbor might have a food dehydrator that he raves about. Then again, that model might differ from the one your co-worker can’t stop talking about. Does this mean you should purchase both? No. Instead, consider what you’re looking for in a food dehydrator and why you need one in the first place. 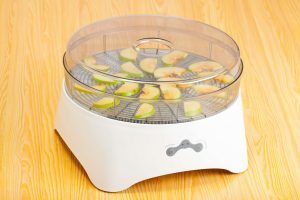 Ultimately, the best food dehydrator for you will be the one that you use frequently and enjoy regularly. To that end, let’s take a look at a few system features to keep in mind when shopping around. 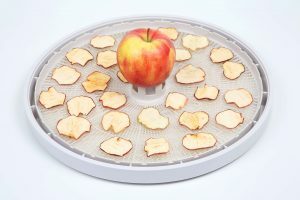 Though their designs may differ slightly, most food dehydrators follow the same basic concept. Each system is comprised of a place to hold food and a heat source used to dry it out. From there, you’ll find two main model configurations: vertical flow and horizontal flow food dehydrators. Both offer their unique advantages, depending on what you’re looking for and what kinds of food you plan to dry. These include a series of stacked trays that hold food. The heat source is usually located on the top or bottom of the unit. Though these models tend to fall on the lower end of the price spectrum, their main drawback is that because the food is stacked in layers, drying might not happen evenly. To remedy this, many versions come equipped with a fan that helps to distribute the airflow uniformly. 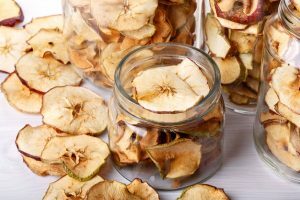 Are you planning to dehydrate mainly fruits and vegetables? If so, a vertical flow model is an ideal solution, as these foods are more easily dried. Of course, you can also use it to dry meats, but you’ll need to manually move the shelves around every so often to ensure everything gets done. Instead of stacked trays, a horizontal flow food dehydrator keeps all of your food on the same level, with a heat source in the back. In this sense, it’s akin to a conventional oven. You don’t need to worry about moving trays around or whether or not your food is evenly dried. In fact, there’s no manual effort required at all. You put the food in, set the timer, and get it out when it’s done. Do you dream of making beef jerky in your own kitchen? If so, you’ll likely want a horizontal flow dehydrator. Though they may cost a little more at the onset, they’re simpler to use and can handle a wider range of food items, including most meats and tough vegetables. 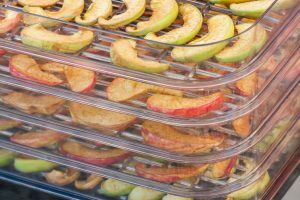 Food dehydrators can range in price from less than $30 to more than $500 for a commercial unit. Before you begin your research, determining your budget can help you eliminate the ones that fall too far below or above your ideal price range. Like many retail items, the higher you go in price, the more bells and whistles you can expect from your food dehydrator. Those on the top end of the spectrum will be larger and come equipped with specialized thermometers, timers and more. Lower-end models are equally efficient, but may need to be maintained more often and won’t allow you to dry as many different kinds of foods. As previously mentioned, a vertical flow food dehydrator is typically more cost-effective than a horizontal flow one. Though this might mean the system you select is less capable of dehydrating larger or more thick-skinned items, if you’re on a tight budget, it’s often the way to go. Yet, if you have the money to spare, it’s worth the uptick in price to splurge on a horizontal flow model, especially if you’ll be using your dehydrator on a regular basis to dry meats. 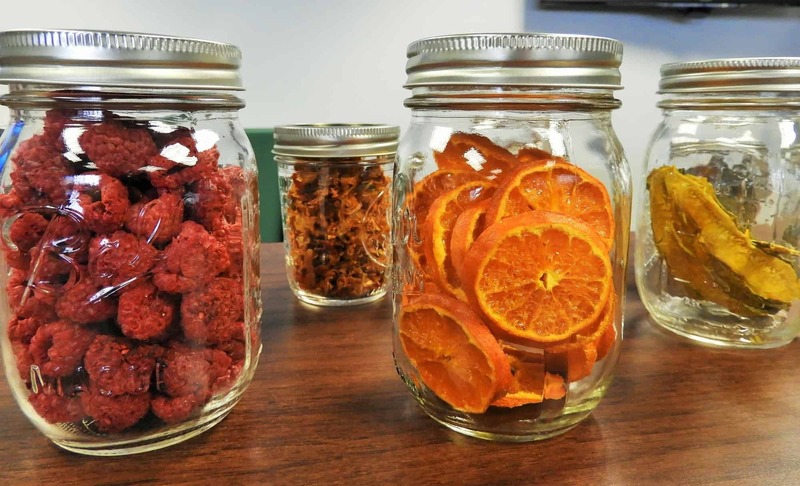 Are you planning to use your dehydrator in your kitchen? If so, take a look around. How much counter space can you devote to its storage? A vertical flow food dehydrator is the more compact option of the two, as the food items are stacked on top of each other to save space. That means if you’re limited on counter space, it will take up less square footage in your kitchen. This also makes it ideal for traveling or backpacking! If you find that the shelves your vertical model comes with aren’t enough, most models will allow you to purchase additional shelves to expand the system. Conversely, a flow model will be a little larger in size to account for drying the food in a single layer. Make sure you have the cabinet or counter space available for this kind of equipment before you purchase. Are you someone who loves to visit the farmer’s market on Sunday and stock up on loads of fruits and vegetables for the week? If so, you’ll likely benefit from a food dehydrator that can hold a larger quantity of food. This way, you can dehydrate big batches of produce quickly at the same time. Or, do you just want to use your dehydrator to make the occasional snack? Dried banana chips are an ideal way to satisfy your craving for something sweet, salty and crunchy all at once! 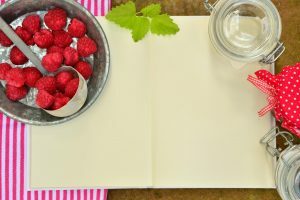 If you don’t think you’ll be making huge batches of food, but rather a few goodies here and there to keep on hand, a smaller and more affordable model is ideal. Not all food requires the same amount of time to dry. That means you may need to adjust the temperature after you make your jerky when it’s time to whip up some kale chips. That’s when a thermostat comes in handy, though not every model comes with one. The ones that do can run a little higher in price, but if this feature is important to you, it’s worth the upcharge. The same goes for a timer. You might be home while your food is drying, but forget to check on it because time slips away or you get distracted. A timer can alert you when it’s time to switch around your trays or take the food out altogether. This can mean all the difference between a batch of strawberries that are perfectly dried and ones that come out charred beyond recognition. 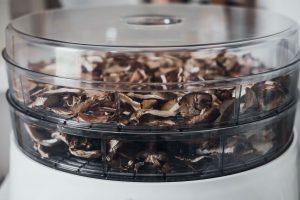 If you’re away from home for long stretches of time or just want the luxury of setting your dehydrator at night and waking up to the smell of dried breakfast meat, consider buying one with an auto shutoff feature. These are the little perks that separate a top-tier food dehydrator from a low to mid-range one. Depending on how important these features are to you, check to see if the options you’re eyeing come with them. Keep in mind that some food dehydrators are louder than others due to the size of their fan. If you have small children or pets in the house that are sensitive to noise, you’ll want to keep this consideration in mind. As specific information on a unit’s decibel rating is often unavailable, you’ll need to conduct preliminary research to determine which models are the quietest. Check online reviews and recommendations and contact the manufacturer if you have further questions. 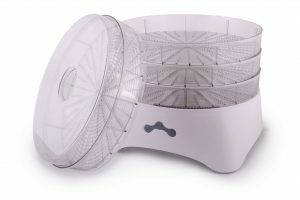 Another factor to keep in mind is how much time you can devote each day to cleaning your food dehydrator. Does the idea of loading a bunch of tiny parts into your dishwasher or washing them regularly by hand overwhelm you? If so, look for a model with a simple construction. These won’t include as many small components to deal with and keep clean. 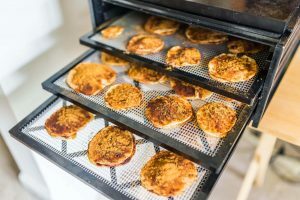 You should also stick to a food dehydrator that has a fan located on the top of the unit, as these are often the quickest and easiest to clean. You can also look for dehydrators with dishwasher-safe parts that take the manual work out of cleaning. Read the specifications for more information. Even the best food dehydrator on the block can be rendered useless if you never find the time or motivation to fire it up. As such, it’s important to do your homework before you purchase one. Take the time to think about why you’re buying it, what kind of food you plan to dry, how often you’ll use it and how much space you have for it. Knowing the answers to these types of questions is a great place to start. Not sure where to go from there? That’s where we come in. We’re committed to bringing you the latest information on the best food dehydrators on the market. From specific make and model reviews to recipe ideas, we’re always on the lookout to help you make the most of your new purchase. Want to learn more about food dehydration and discover unexpected ways to use your new system? We’ve got all the tips and tricks you’ve been looking for!